Today Patek Philippe unveiled a special line of watches to celebrate their 175th Anniversary. This magnificent beauty is one of the most complicated wrist-watches ever made, with 20 different complications!!! 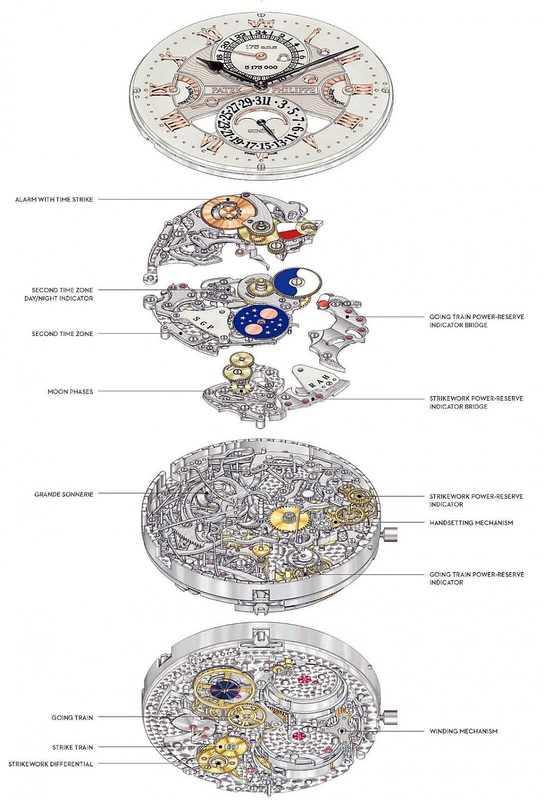 It consists of 1,580 components, of which 1,366 comprise the movement, and the 47MM case. 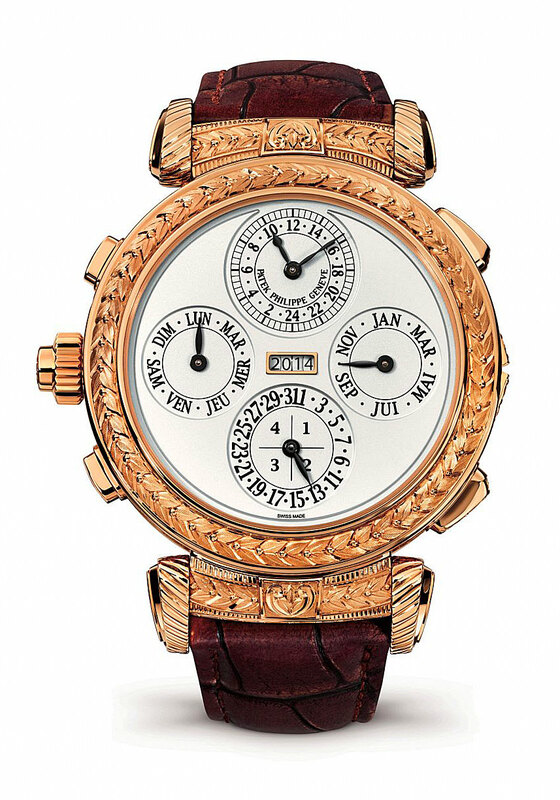 Patek Philippe announced they only plan to offer seven examples of this grand-masterpiece, and that six of them have already been sold to well-known Patek Philippe customers, and the seventh is headed for the permanent collection in the magnificent Patek Philippe Museum. In the video below you can see the amazing level of detail that went into making this amazing watch, which the Wall Street Journal reports cost $2.6 Million to purchase. This insanely beautiful Patek Philippe is hand engraved and completely reversible, so the wearer can flip it around and wear it with either side displayed! 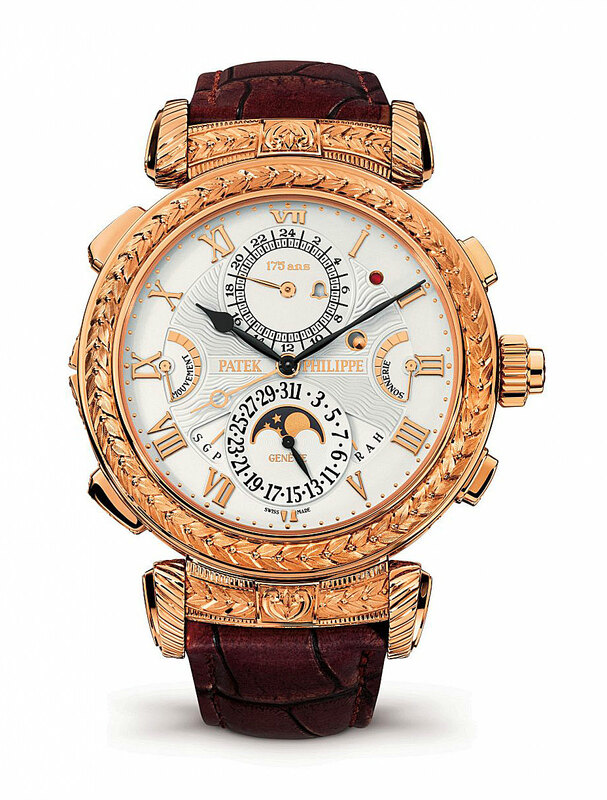 You can learn much more about this magnificent masterpiece by visiting the special dedicated microsite page on Patek.com. The illustration below showcase the amazing movement details.